"Frost salts are the crystalline compound that precipitates from elemental frost in solution. Such residues may be collected from the remains of frost atronachs that have been banished from the mortal plane." 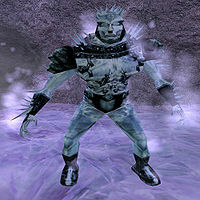 Frost Salts are the physical essence of Frost Atronachs, which can be collected from their corporeal remains after you have dispatched them back into Oblivion. * Cienne's ingredients are stored in a chest inside her shop instead of on her person. 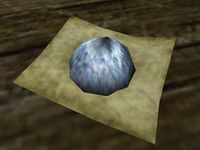 So if you can gain access to that chest without being caught, you will have an unlimited supply of free Frost Salts. This page was last modified on 19 December 2018, at 23:47.